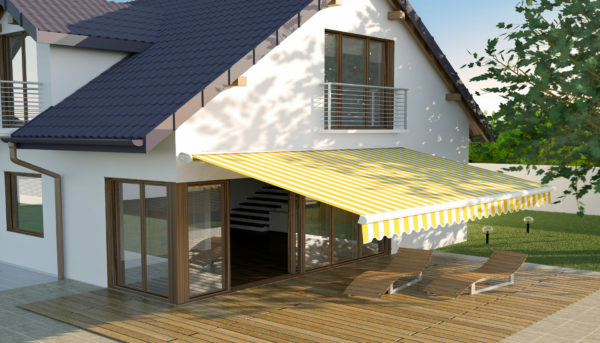 Since awnings provide your patio with ample shade, you just upped your living space. Many home owners are realizing that an awning creates an upscale, outdoor living room; perfect for extending your outdoor entertaining season to host dinner parties, play games with friends, savor a cool drink on a hot summer day or simply relaxing with family. When the sun is blocked, the air gets cooler of course. But, did you know it can actually get a full 20 degrees cooler in the shadow of the awning? It’s true. Imagine how much more pleasurable your patio or deck will be when you don’t have to worry about wiping sweat off of your forehead every few minutes when you’re trying to read your favorite book while enjoying your surroundings. Adding attractive and well-designed awnings can have a transformative effect. But besides improving the appearance, a large awning can actually add to a great deal of usability outdoor space, and that value can be priceless when enjoying the summer months. Our awnings come in a huge variety of fabrics and are styled with precision, they help increase the beauty of your deck or patio. By choosing from a variety of deluxe and superior patterns, prints, and solids, you can get an awning that perfectly matches your patio furniture and design needs. Not to mention, you get to show off your great taste, and your neighbors might even confuse your patio as one from a magazine. You wouldn’t spend all day in the sun without some kind of protection, right? Well, the same is true for your furniture. You probably already figured out that an awning can increase the life of your outdoor furniture because it protects it from the elements, but did you realize the awning also keeps your interior items in stellar condition? That’s right. Ultraviolet rays will break down the dyes in everyday objects in our homes causing the colors to fade, causing a bleaching effect. Some objects are especially prone to fading, such as dyed textiles. By installing an awning you can prevent the sun for wreaking havoc on your fine art, hardwood floors, and expensive furniture. Instead of the inevitable fading and peeling due to the sun, your belongings will stay looking new for much longer and save years on your furniture life cycle. Do you have air conditioning? If you do imagine this, if your air conditioning doesn’t have to battle the sun, it will not have to work nearly as hard to keep your home a comfortable temperature. What does this mean for you? It means that you can save about 50% off of the cooling portion of your electric bill. Pretty substantial savings considering you also get all of the perks mentioned above. 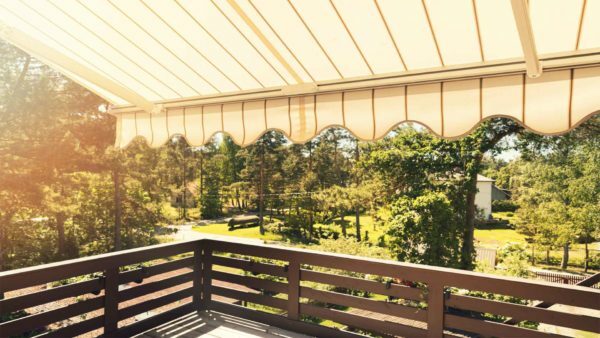 For those who may be selling their homes soon, an awning may help you receive top dollar. 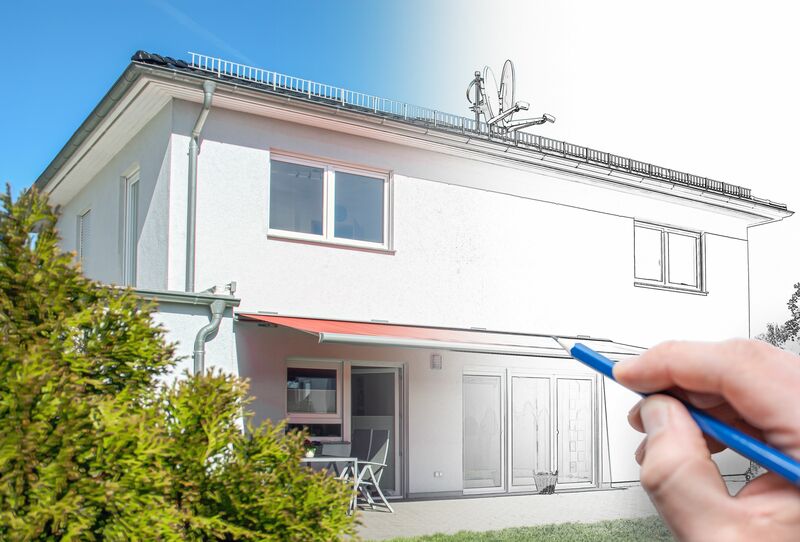 Today’s buyers want houses that have attractive and functional exteriors, and an awning can help provide make life more enjoyable for homeowners now and adds an appealing selling feature for the future. As you can see, an awning is well worth the investment. It allows you to spend more time with your family outside enjoying the fresh air and less time worrying about the effects of the sun. So, are you ready to add one to your home? Fill out our contact form or give us a call today at (802) 236-3540 to schedule an appointment and learn more.